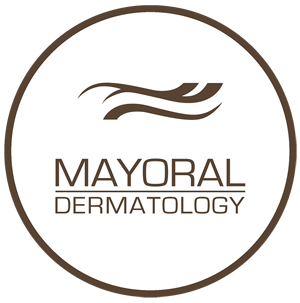 Mayoral Dermatology is proud to offer EndyMed PRO, a noninvasive, painless method of rejuvenating the skin by tightening loose skin and removing fine lines and wrinkles in the process. Using a radio frequency technology called 3DEEP facial tightening, EndyMed Pro stimulates collagen by introducing volumetric heating that penetrates the skin to induce collagen production. With no downtime or discomfort to endure, patients opting for EndyMed PRO experience smoother, tighter skin without the need for surgery or needles. How Does EndyMed PRO Work? A complex algorithm manipulates RF current phases that flow between electrodes transmitting energy into the skin. As these different electrical fields naturally repel other fields speeding past them, this interaction leads to an ideal mix of energy that targets several skin layers. Energy is driven vertically into skin which reduces the amount of radio frequency wavelengths being absorbed by the skin. Consequently, patients do not feel the intense heat radiating underneath the skin, thus minimizing the need for cooling or anesthesia. Delivery of discriminatory, phase-controlled thermal energy directly into collagen fibers produces immediate tightening of the skin, which is followed by the anti-wrinkling effect of collagen production and remodeling. Patients are often amazed at the visible and tangible results of EndyMed PRO following one treatment session and especially like the fact that RF is painless, easy and completed within 30 minutes. Increased collagen production continues well after the first treatment session. In addition, blood flow to the treated skin zones improves, which promotes breakdown of lipid deposits while encouraging drainage of unnecessary fluids retained in unhealthy skin. Patients are ensured to receive consistent and satisfactory results because the RF technology utilized by EndyMed PRO automatically adjusts to your skin’s unique needs and form. 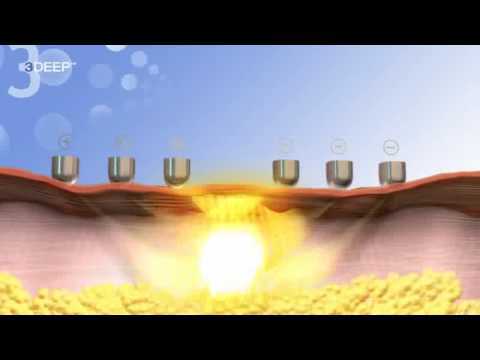 Whatch this Video on how EndyMed works. What is an EndyMed PRO Treatment Session Like? Specifically designed with the patient’s comfort in mind, EndyMed PRO is described by patients as feeling like a warm, gentle massage. The dermatologist moves a small handpiece over the skin using a circular motions to deliver RF energy into targeted areas. During treatment, the temperature of the skin is monitored as the handpiece is moved over the area around five to six times. Weekly treatments are scheduled for a total of four or five sessions, with two more treatments given every two weeks. Results are optimized at this point but a follow-up treatment is generally needed about three months following the last, regular treatment. Are there any Side-Effects of EndyMed Pro? Some slight redness occurs after treatment but all patients are able to resume work and any other activities they need to do following an EndyMed PRO session. Redness usually fades after several hours, leaving you with firm, rejuvenated skin glowing with its natural, age-defying tone. For more information about this state of the art technology, call Mayoral Dermatology and ask about how EndyMed PRO can make your skin look nourished, firm and youthful.